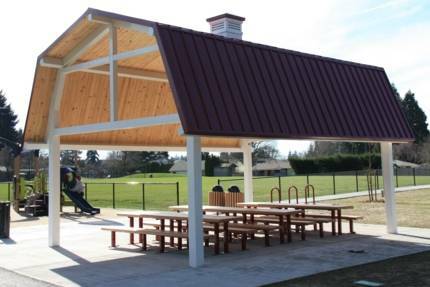 Several covered picnic shelters, including this one at Aloha's Barsotti Park, are available for public use. 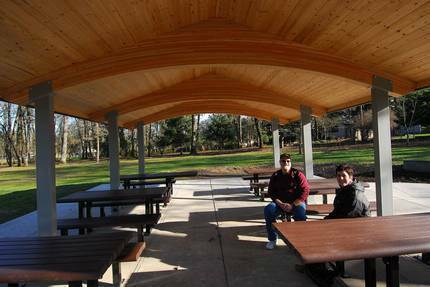 THPRD offers covered shelter and picnic areas for half-day rental at A.M. Kennedy Park, Barsotti Park, Camille Park, Jackie Husen Park, Mountain View Champions Park, Raleigh Park and Schiffler Park. Morning rentals: 9 a.m. – 2 p.m. 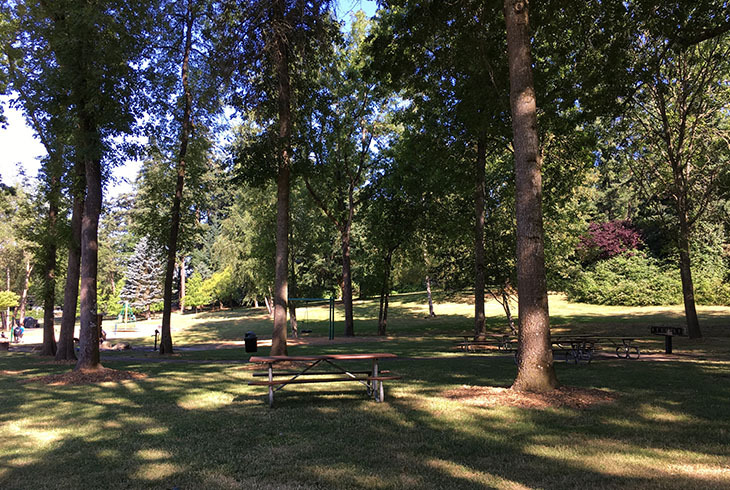 Note: If available, you may reserve a park for both shifts for an all-day function. A separate fee is assessed for each shift. Reservations must be made at least 72 hours prior to requested use date and the rental fee must be made at the time of reservation (check or credit card accepted). 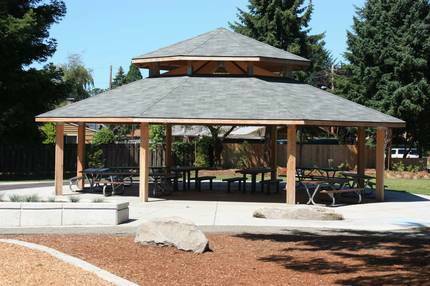 Reservations can be made by calling 503-629-6305 or visiting the Fanno Creek Service Center. 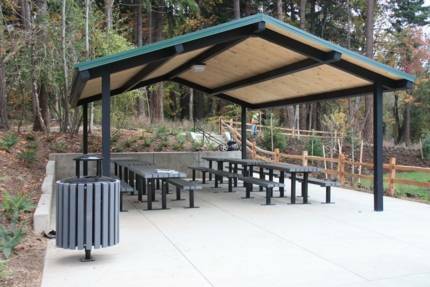 A completed Park Shelter Rental Application Form is required with payment. 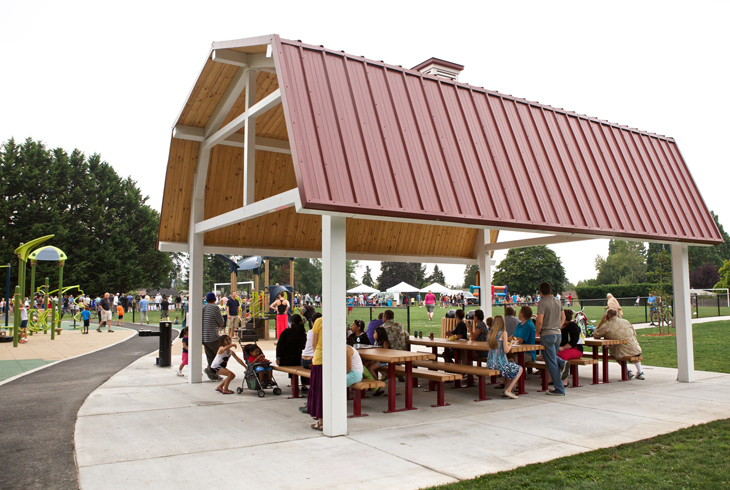 A permit, which will be granted after reservation is approved, must be displayed on site at your event. 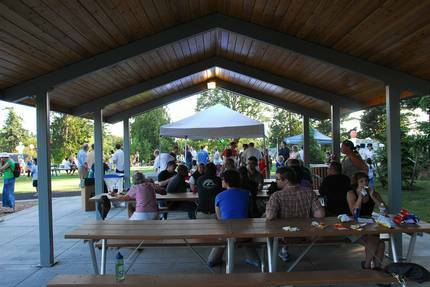 Alcoholic beverages are permitted only with approval of the Special Use Permit for Alcoholic Beverages and payment of rental fees. 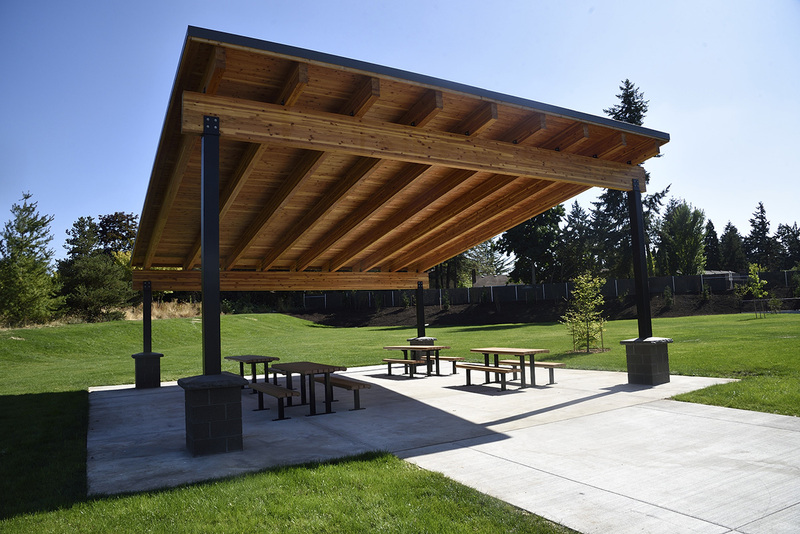 For more information about park rental sites, or with inquiries about other sites that are not listed, please contact staff at 503-629-6305 or send an email.